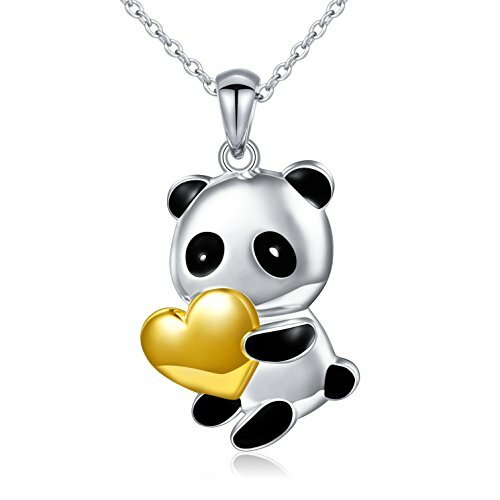 S925 Sterling Silver Cute Panda Love Heart Necklace for Women Girl, Rolo Chain 18"
Silver Light Jewelry : A famous jewelry brand Four jewelry chain stores in Hongkong. Best service and 24 hours response,100% satisfied Factual description, real photo Genuine 925 Sterling Silver, if less than 92.5% silver, we will 3 times money pay back! Please take care about the jewelry size when you purchase. usually the sterling jewelry is smaller than the brass or alloy jewelry. Polishing cloths are an excellent choice for cleaning your sterling silver jewelry if oxidized and black.